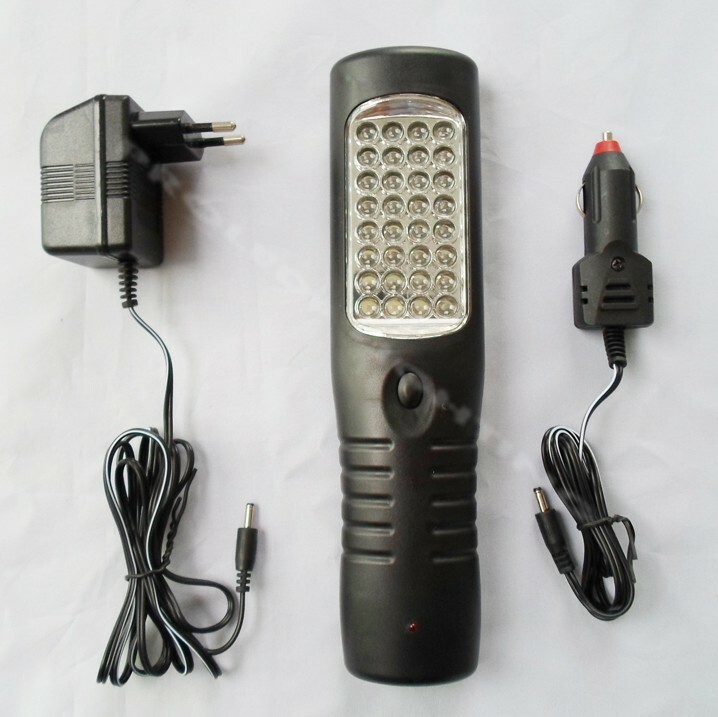 We are Manufacturer for LED lights since 2008, all the quality can be guaranteed and very best price offered for your wholesales orders. 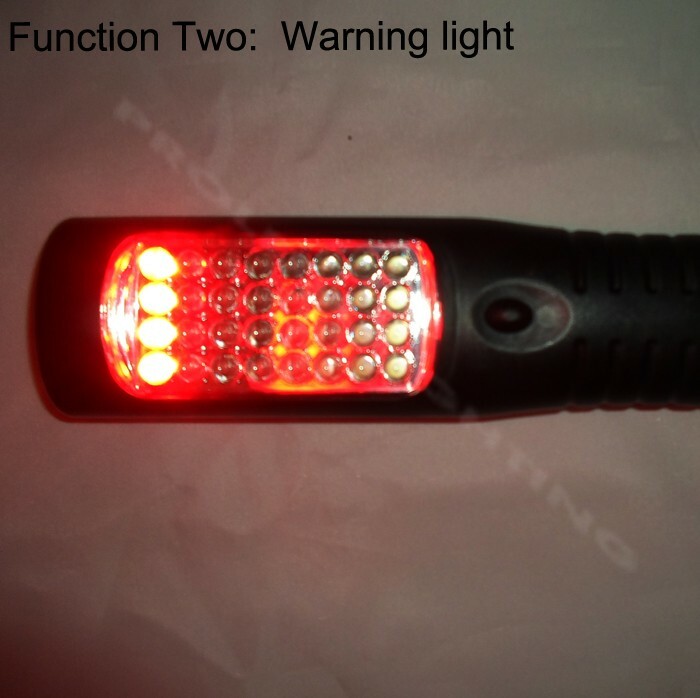 Free shipping 1 PACK 3 in 1 rechargeable 28+4+3 LED work light LED emergency light torch car roadside emergency garage. 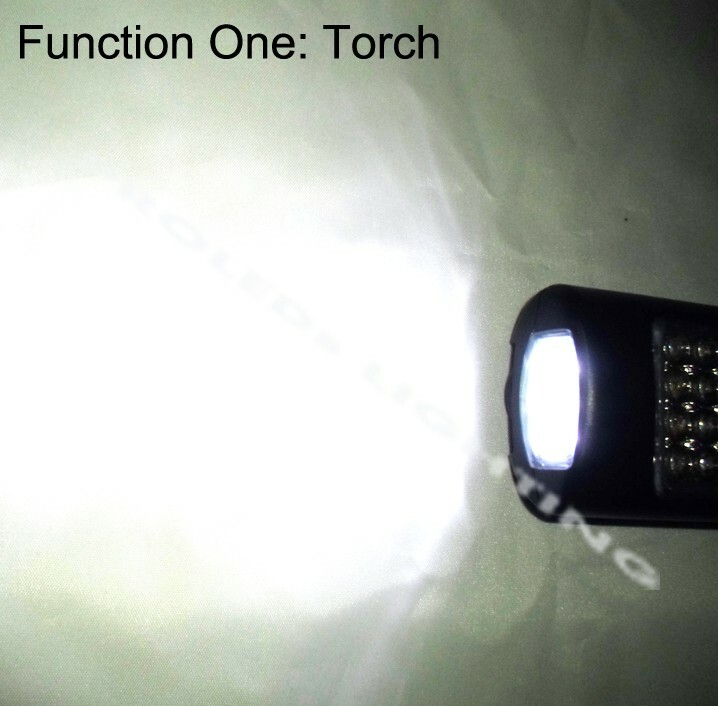 1, Power: 1.5W 2, 28+4+3 bright LED. 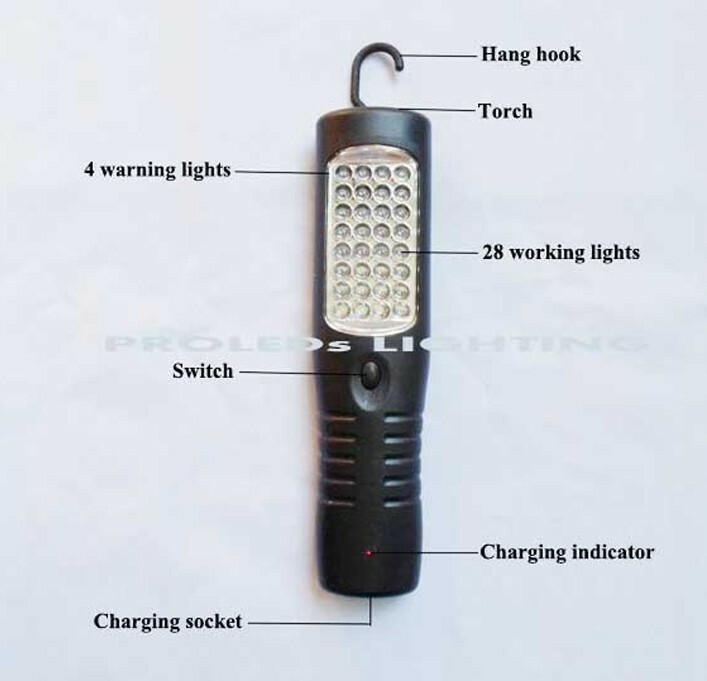 3, Magnetic on the back for attaching mental. 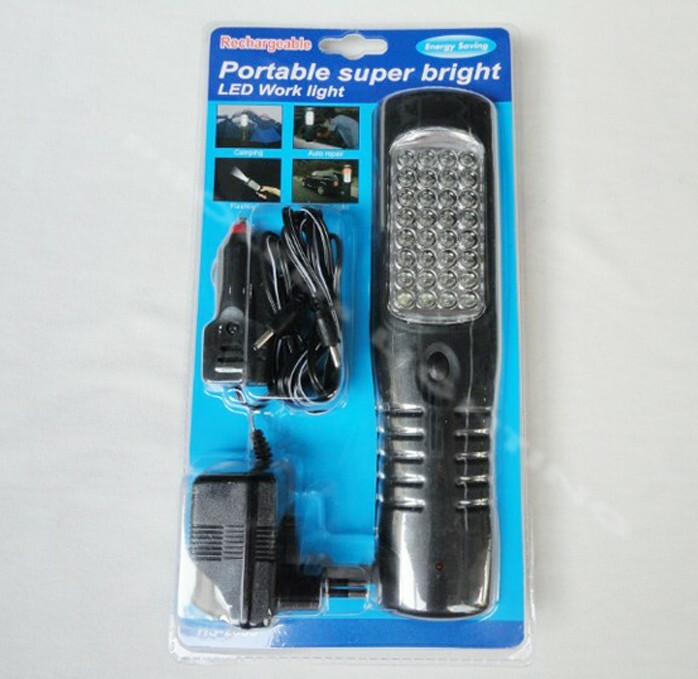 4, Rechargeable Ni-Mh battery 800MAH. 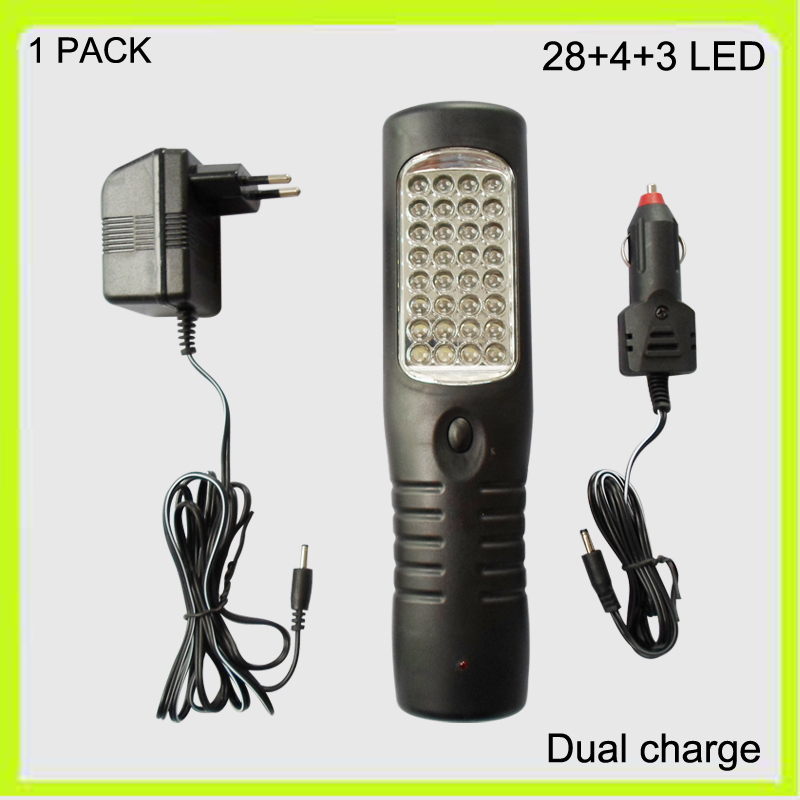 5, As led work lights, Warn lamp torch led best for camp. car in roadside, Garage. 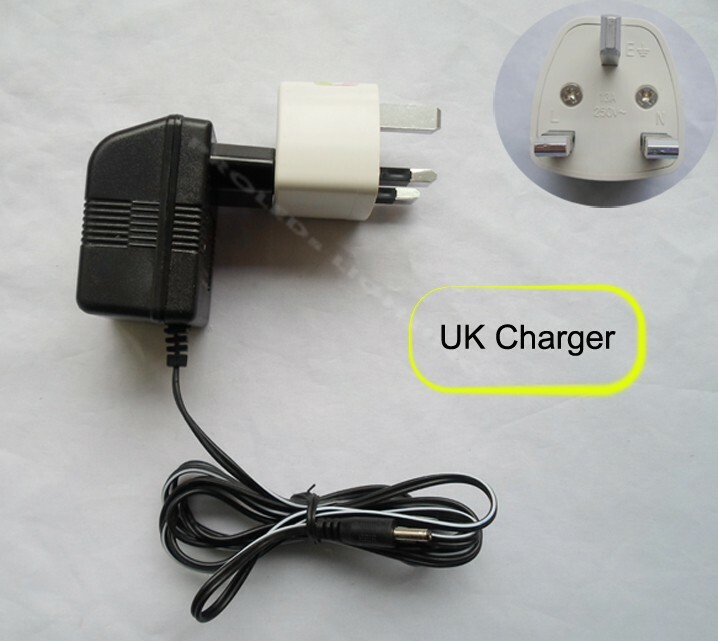 6, Size: Dia240*35*60MM 7, 2 YEARS warranty. 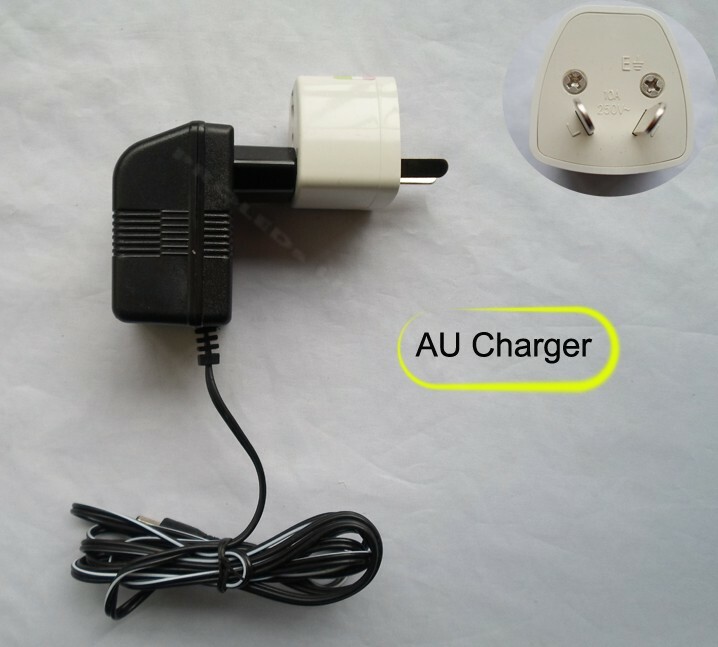 8, Material: ABS 9, Dual charging: plug EU type & 12V cigarette plug. WHY US?